Levitating man made shocked spectators call the police. 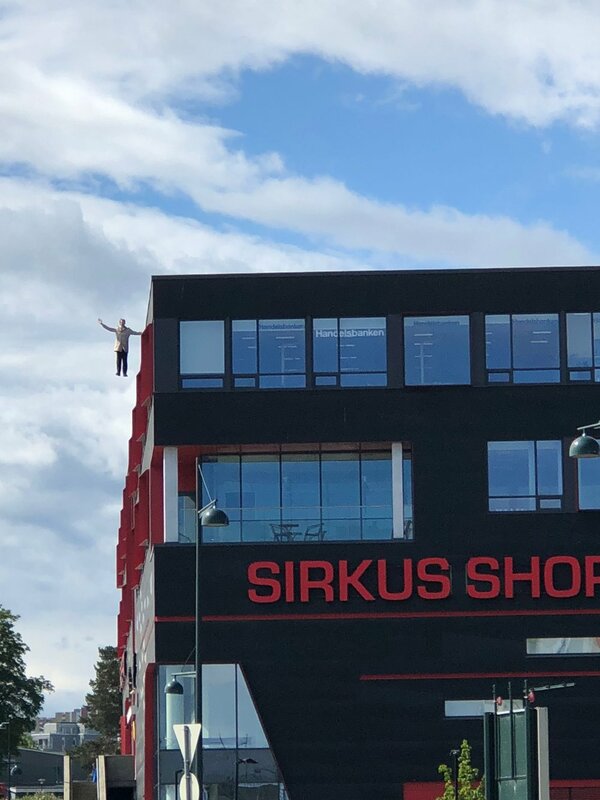 A Norwegian magician got international attention after shocked spectators called the police at the sight of a man apparently levitating next to Sirkus Shopping Mall in Trondheim. Police, fire department and ambulance was called to the scene. Only to find magician Christian Wedoy levitating next to the mall. - This is a static illusion made to create attention from the media and on social media. - When booked It is usually performed 2-4 times In one day for periods of 45-60 minutes. - It it's safe to perform and at no point is the illusionist in any danger. - So far this performance has got the attention of the media at every location it has been performed. Some spectators had called in and told the police someone was about to jump as the levitating magician was getting ready to perform his illusion. Christian Wedoy explained to the police that this is a safe illusion to perform and that he at no point was in any danger. Nevertheless the show was put to an end by the police. Christian Wedoy has performed the illusion around Europe to great joy for the bypassing audience and the press, he was booked by Sirkus Shopping to perform the illusion to get some extra promotion for a ongoing festival at the mall. Christian Wedoy told the media he had no plans on quitting this illusion, and that he already have 4 new bookings on this act because of all the attention it got in the media. It was TV2 Norway who first reported on this incident and it quickly spread and got international attention.